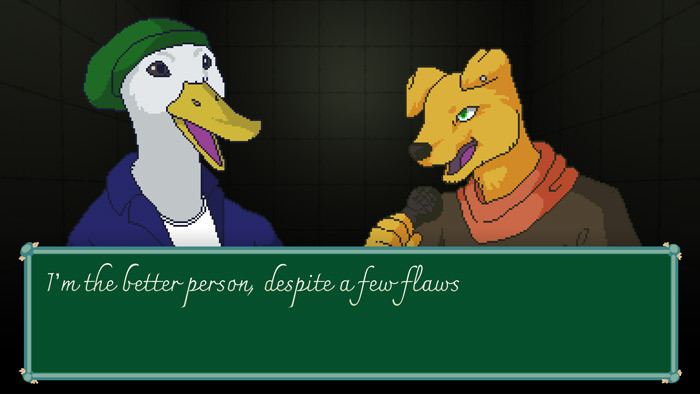 Fresh Pup sees you play as a young anthropomorphic Dog who has aspirations as a rapper, to follow your dreams of becoming the world's greatest dog rapper you enter a local open mic rap night where you will have to do battle with other anthropomorphic creatures to win the rap challenge and be crowned victorious. The objective of the game is to out rap your opponents and to try and make it to the final and defeat the Dean of your college who is an old hand at the rap game and has never before been defeated, can you be the first to do it on your quest for rap fame? 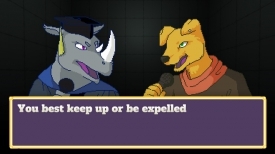 If you are worried now that you will need a microphone and to actually fear not, the game play is fairly simple as you can choose from a list of text and try to make the sickest burns to your opponent but try to always make sure the following word rhymes with your last sentence or you will be thrown out of the competition! Although you sadly don't get to hear the rhymes performed the game is backed by some fun rap beats that really add to the atmosphere, Fresh Pup can be played through in a total of about five minutes but it sure is a fun way to spend five minutes of your time. 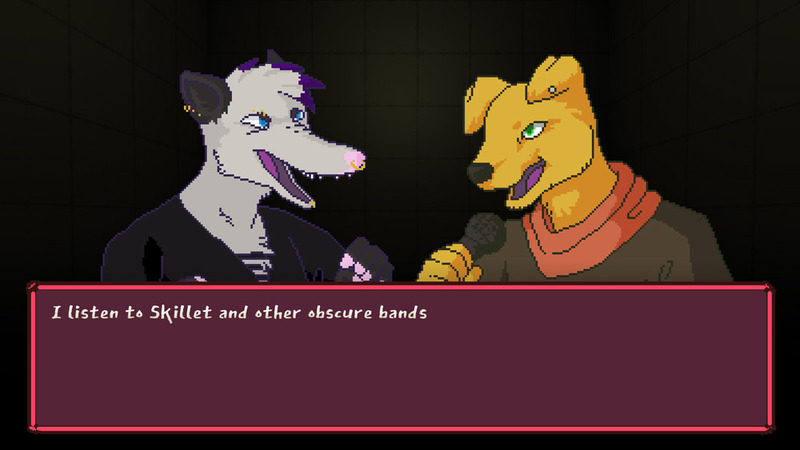 You can download this furry rap battle adventure here for free.